At launch, the R9 290X attracted criticism for running too hot and loud, although recent custom cooled cards have shown that it was as much to do with a poorly designed, cheap and inadequate stock cooler as much as it was to do with an inherently inefficient GPU. Even so, the idea of putting two of these toasty chips onto a single card would have seemed ludicrous to most. 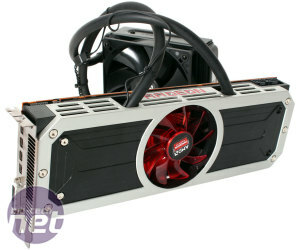 Recent rumours and teasers, however, began to indicate that AMD was planning exactly that. 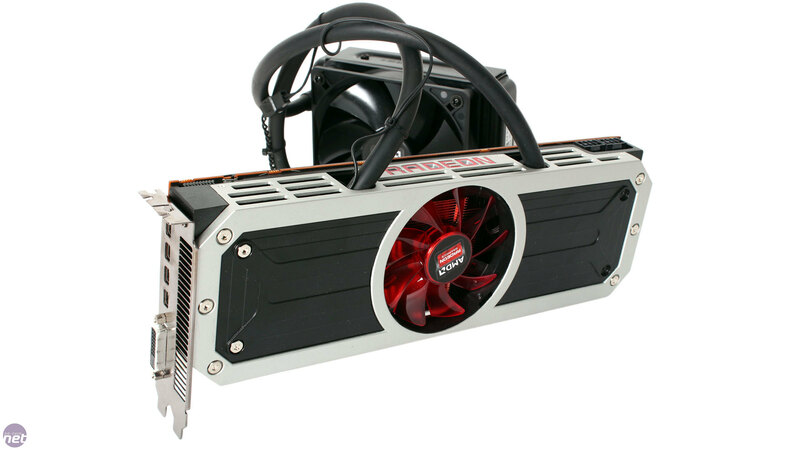 Today, we can reveal what AMD has been up to: meet the Radeon R9 295X2, appropriately codenamed Vesuvius. As you can see, it's the first reference card to be water-cooled. 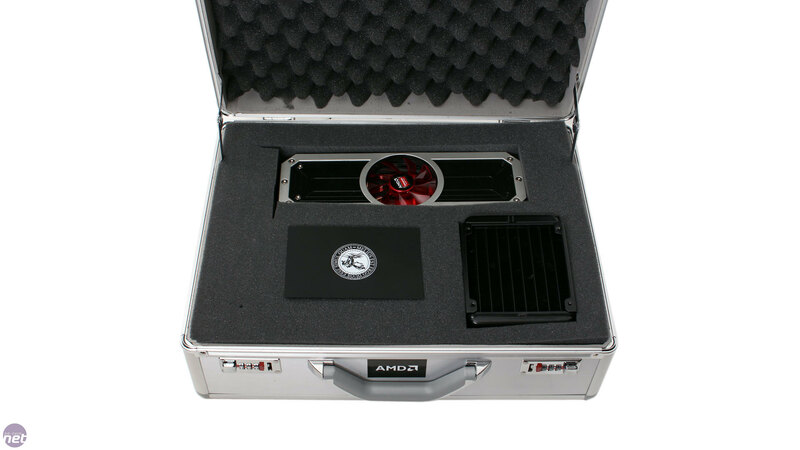 It uses a sealed loop cooler from Asetek, with a similar design to that seen on the Asus Ares II. Like that card, it also comes in a padded flight case. Everything about it, from packaging to construction, is premium, which is no surprise – it's launching at $1500, with our sources indicating that its price will approach the £1,100 mark this side of the Atlantic. It's due to have retailer availability in the week of April 21st. Without doubt, at this price, it's reserved for a lucky few, but as enthusiasts, we still jump at the chance to look at something as gloriously over the top as this. We'll start with the core hardware. Effectively, the R9 295X2 comprises two fully functional Hawaii GPUs with 44 Compute Units a piece and each with a full offering of 4GB GDDR5 (for the full lowdown on Hawaii see here). Of course, this means it will be marketed as having 5,632 cores and 8GB VRAM, but the correct way to think of it is 2 x 2,816 cores and 2 x 4GB VRAM, as the two GPUs are still functionally separate. Either way, it's obvious that there is a serious amount of firepower here. These specs also makes this card the fastest single consumer graphics card in the world, though Nvidia's GeForce GTX Titan Z is set to challenge that. As you'd expect, both TrueAudio and Mantle are fully supported. Unusually for a dual GPU card, clock speeds aren't any less than the single card variants – in fact, they've actually been given a marginal bump. The maximum GPU clock speed is 1,018MHz compared to 1,000MHz before, while the memory runs at the same 5GHz effective. AMD claims that this, along with improved cooling (which allows the GPUs to run at maximum frequency more often) and hard work from its driver team, means it will actually be faster than two stock speed R9 290X cards running in CrossFire. AMD also claims that the best scaling will be at 4K resolutions, and freely admits that this card is overkill for 1080p and even 1440p.